I want to create a shader for a terrain to make the water fully transparent but not invisible or faded. 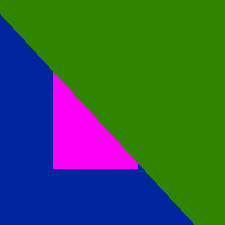 In this example I would want the purple square to be seen through water but not through the land. I want the water to look exactly the same as before. I want objects underneath the terrain to be visible through the water. I already have a shader to make objects underneath the water look like they are seen through water. I want to use a single camera as I would need a slow script on each of the cameras. Browse other questions tagged unity shaders terrain or ask your own question. Unity: how to apply programmatical changes to the Terrain SplatPrototype?